It doesn't look like a big storm but it does look messy. Occasional snow and some ice during the day Friday transitions to a steady period of precipitation Friday evening and night. The problem is going to be the predominant precipitation type Friday night is going to be freezing rain. 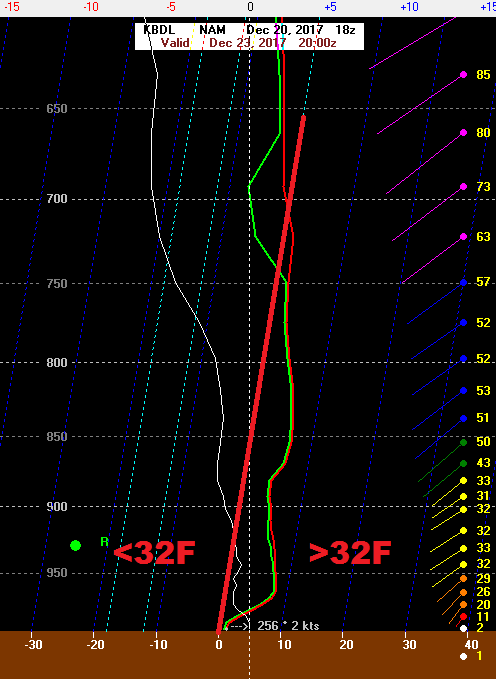 There will be a large layer of above freezing air above our heads that will turn snow flakes to rain. However, near the ground, temperatures will be around or just under 32 degrees across the interior which will result in freezing rain. 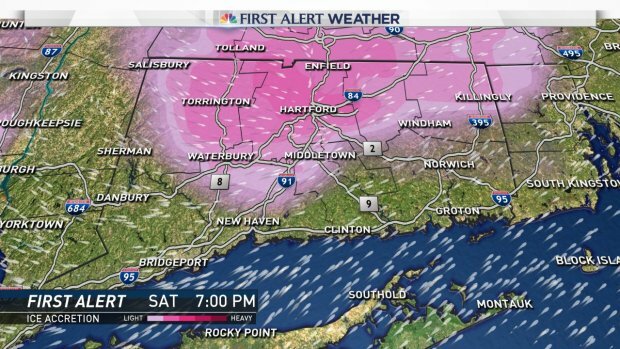 Rain will freeze on contact with untreated surfaces. With high pressure to the north and a relatively weak system moving in from the west is always problematic this time of year. Our computer models tend to do scour out low level cold in the valley too quickly and generally don't resolve the extent of low level cold particulalry will. The above sounding (off the NAM computer model) shows a large area of above freezing temperatures with a very shallow zone of cold air. 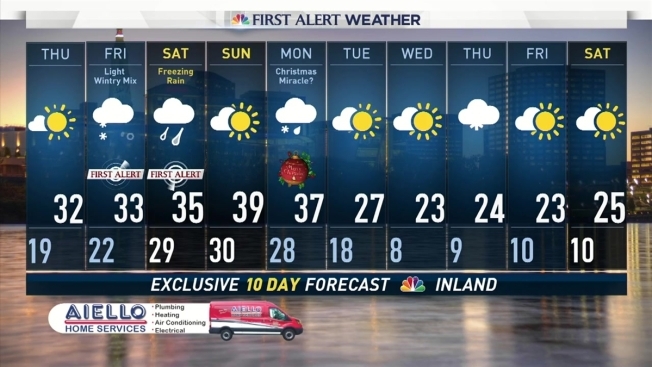 Eventually the warmer air will win out and the freezing rain Saturday will transition to plain rain. In terms of impact I'm not currently expecting enough ice to cause issues with trees and power lines but the ice will make untreated surfaces slippery. The best chance for icing is across the interior but a brief period of icing as far south as New Haven is possible as well. And then there's Christmas. A tremendous amount of model spread still exists for a storm on Christmas Day. Some solutions are east and offshore while others are overhead (resulting in rain). There is certainly the possibility for accumulating snow but it's too soon to say anything with much certainty.